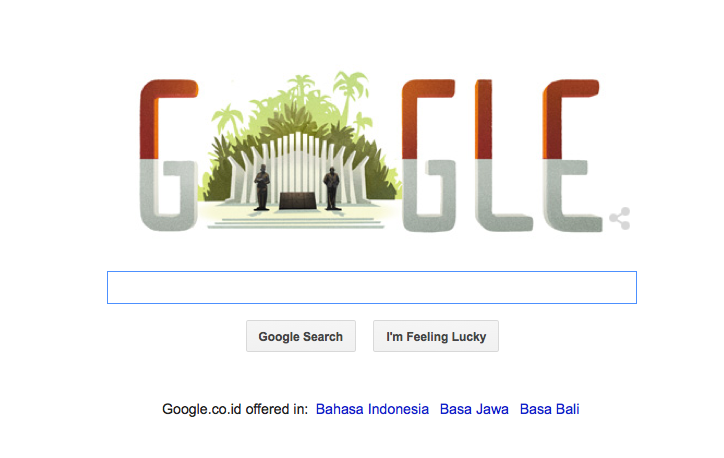 We the people of Indonesia hereby declare the independence of the Republic of Indonesia. The details of the transfer of power etc. will be worked out carefully and as soon as possible. The date is taken from the Javanese calendar. The crossings-out reflect the imprecision of the Malay language in which it was written. Though Malay was adopted as the national language, it was not the mother tongue of any of the founding fathers; perhaps they struggled to find just the right word for this momentous declaration. The content — and especially the Etc. of which I’m so fond and which I used as a title for my book — reflects the imprecision of the very nation itself. At the time of the declaration, the nationalists were not even agreed on what territories it covered, and most other nations took four years to agree that it even existed. My personal favourite, however, is the way the last word, Indonesia, gets squished down into a little curly tail: forward planning has never been the nation’s most obvious strength. The last six decades have seen many Etc.s: riotous multi-party democracy (centralised), “guided democracy” aka dictatorship under Sukarno, a “New Order” aka dictatorship under Suharto, and many stripes of “reformasi” aka riotous multi-party democracy (decentralised). There will doubtless be many more to come. Indonesia is a nation that will live always in interesting times. I wish the nation and its people very many happy returns. A propos of nothing, so does Google, which for some reason pleases me. 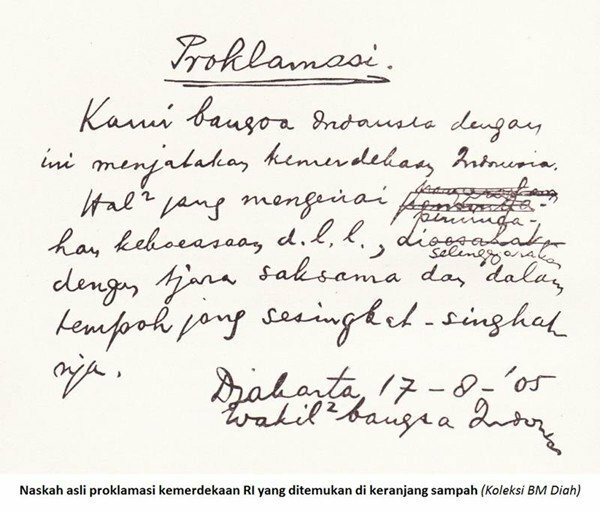 2 Comments on "Indonesia is 70: Many happy Etc.s"
Hi Ibu Elizabeth, from my Indonesian history lesson I have learnt that the ’05 refers to the Japanese year of 2605, not Javanese, due to the use of Japanese dating at the time. Interesting. Thanks for the correction.